At SanderSon Bay Fine Homes, we know that building a home is a team effort. We listen to you so we can design the perfect plan for the new home you have dreamed of. Then we pay meticulous attention to every detail, from selecting the best building materials to coordinating the region's top craftsmen. If you're new to the Nature Coast and the Central Florida area, we know you want to follow construction closely, even if you're still thousands of miles away. We'll be providing ongoing updates so you can rest assured that everything is moving ahead as planned. We have experience with long-distance building and will help you and inform you from the start of construction on your new home to the day you move in. Communication and feedback is constant through the entire building process. We build for you! If you are located outside of the immediate Citrus County area, you may be interested in having SanderSon Bay become your Long Distance Builder. 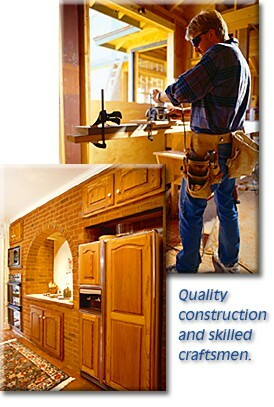 We are experienced in building homes for people who do not live in the area. SanderSon Bay Fine Homes offers you a communication tool to assist you with the building of your new home. We will make a website devoted to your new home. Click Here to view a sample of what could be YOUR homeowners' progress web site! To learn more about building a "long-distance" home, click here to meet Jim and Maria Schmidt, click here to meet Bob and Judy Cohen or click here to meet Henry and Janet Locke. They each have first-hand experience working with Chuck on a new home while they were thousands of miles away.